Women are continuing to make progress despite the current wave of leadership and media that sweeps women’s issues under the rug. But over the past 30 years, I’ve read the workplace research on women (and published a recent, extensive report on it) and I’ve lived it — and what I’ve seen — is not enough change. The talk and “programs” fall short on getting a comparable number of women into leadership positions. About half of U.S. women want leadership positions and women make up half of the workforce, but they aren’t half of the leadership roles. Businesses are risking a lot if they don’t take a more serious approach to change. 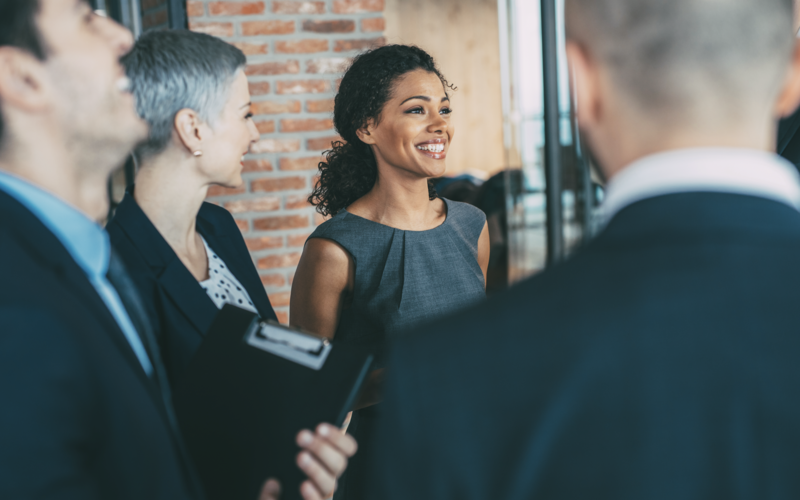 They’re risking the engagement and well-being of all of their employees, and they’re losing their opportunity to develop and retain the next generation of leaders. Women (and men) still say it’s one of the biggest challenges facing working women in the U.S., according to the recent International Labour Organization-Gallup study. Family responsibilities often don’t allow men and women to work a full 40 hours or more every week at a paid job, but does that always equate to lesser outcomes? Making room for how all employees can work in less hours and still achieve excellence (if they can) — and be rewarded for it — is what will make a difference. If you can’t show women the proof that their time and contributions are equally valued, then you have a gap and you need to fix it. Your best women won’t stick around if they don’t see equal pay for equal performance. It’s not a secret. Women want it all. Women want it all, but “all” doesn’t mean the same to every woman. Not all women want the same thing in the same amount of time. On the other side of the spectrum, nearly half of working women (moms included) would like to become CEO or have a senior management or leadership position —and they are willing to put in the time. And it’s not just about flexibility. Some women want steady growth and career development while working less to manage other parts of their lives. The best organizations give more options on when and where their employees can work hard — and in shorter amounts of time when needed. I’ve come across many women (and men) who struggle because they feel the pressure to “move up.” They are pushed into promotions by their company, or push themselves into it, because American society tells them they’re not successful otherwise. Ask women what they want now and in the future, help them find the right fit and career path, and identify their talent for leadership — because this will always be the best approach for you to engage your employees. It takes adaptability and patience over time. It takes more than creating a “female leadership program” or employee resource program. Workplaces might not be able to change overnight (although, there’s a thought) but the ones that take larger strides to get there are the ones who will win and keep high-performing women. Mostly likely not has high as men would. Women across the world, and in some of the top U.S. companies, rate each statement and question on Gallup’s employee engagement survey higher than men —except on that one crucial item. They don’t believe that their opinions count to their organization. It’s unquantifiable. But we know it happens. This is only one example of the “minor” inequities women see in the workplace, and it may take another generation or two to shed the (perhaps) unconsciousness of this bias (both for men and women alike). However, when you “check the pulse” on your company culture in this aspect, women will know they work for an organization that is aware and seeks to treat equitably, even if they can’t eliminate the bias overnight. Gallup’s best practices help you engage your employees every day. Women have worked hard to prove their value to organizations; now it’s time for organizations to prove their value to women. Now’s the time to #pressforprogress and #proveit if you want to keep your best female employees and secure the future of your organization.